Remodeled Victorian in 40204! It's located equidistant from the heart of the Highlands and 40205, as well as moments from NULU, historic Clifton, the UL medical campus, and the new 28 million dollar Paristown Pointe campus which will be home to the Kentucky Center for the Arts. There is a 3 car garage with a fully floored second level including drywalled ceilings and a mini-split. This separate studio space is perfect for an artist, Airbnb enthusiast, or large family and offers future expansion. Fully renovated in 2016, the kitchen is GORGEOUS with a subway-tiled backsplash, tile floor, granite counters, dark cabinets, and stainless steel appliances. The gas stove has a stainless steel hood, and there's an island with a butcherblock top. Great features of this well-appointed Victorian home include 10 foot ceilings, pocket doors, a carved split staircase, and 4 decorative fireplaces. They are many vinyl replacement windows throughout the house. 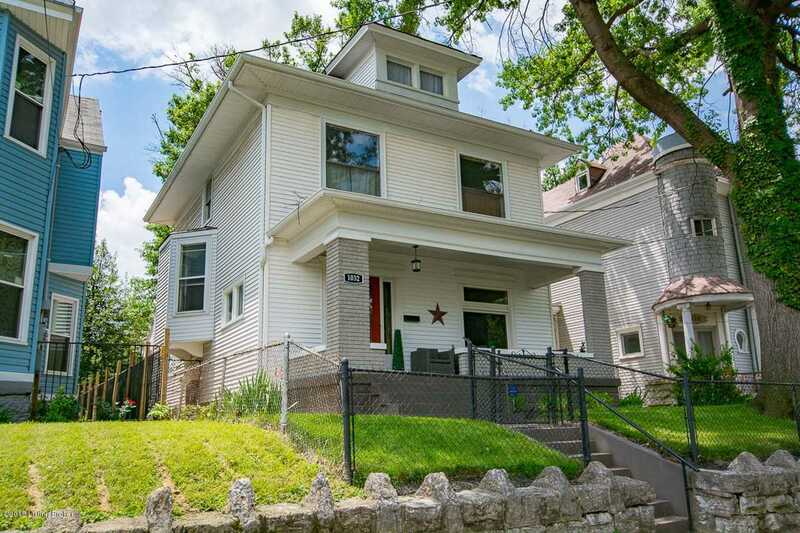 On the second floor, there are 3 bedrooms with refinished, original oak floors and 2 full bathrooms, which were newly configured and renovated in 2016. If you need a 4th bedroom, the 3rd floor has a great, carpeted bedroom with neat ceiling angles, serviced by its own mini-split unit (non-conforming, but completely typical and usual for area/age). The large flat, fenced lot (40 x 160) has a Victorian style playhouse, fountain, and brick patio...very charming. Lot Size: 0.14 Acres / 6251 Sq. Ft.
SchoolsClick map icons below to view information for schools near 1032 E Breckinridge St Louisville, KY 40204.